A truly luxurious bouquet featuring exquisite red Avalanche Roses, elegant lily, carnation and chrysanthemum. 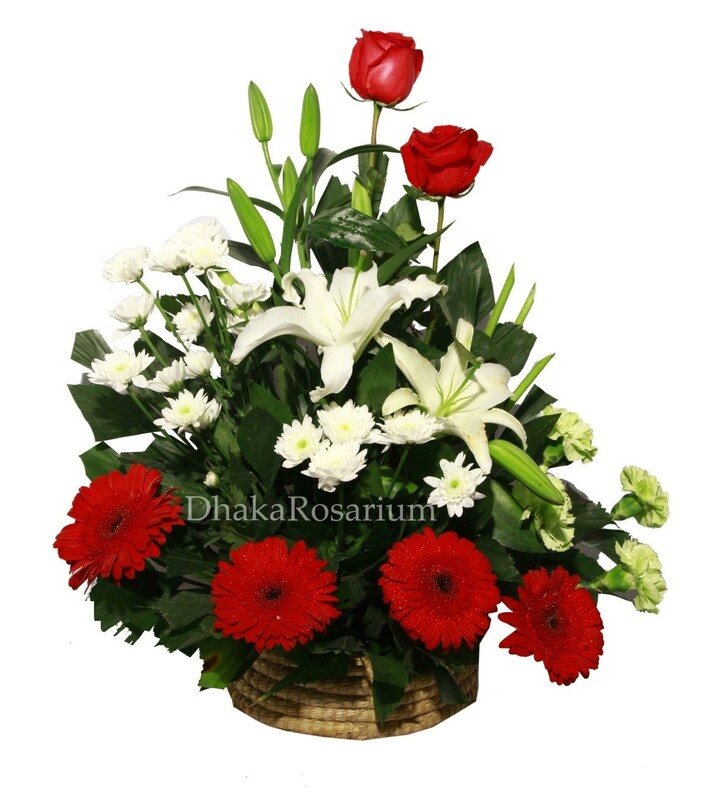 Fresh imported red roses with local red gerbera including lily, carnation and chrysanthemum are assembled in a handmade basket decorated beautifully. Same Day Flower Delivery Available.